Law Web: Whether parties can unilaterally withdraw from agreement entered before mediator? Whether parties can unilaterally withdraw from agreement entered before mediator? characteristics of compromise in terms of Order XXIII Rule 3 CPC. to Order XXIII Rule 3 has a significant guidance in this regard. matter as contemplated under Order XXIII Rule 3 CPC. arrived at between the parties in a court-annexed mediation. report of the surveyor to pass a decree in terms of the compromise. can be carried out afresh." in terms of the aforesaid agreement. Appellant(s) pray(s) for refund of the full Institution Fee. by the court, the petitioners cannot maintain such an application. 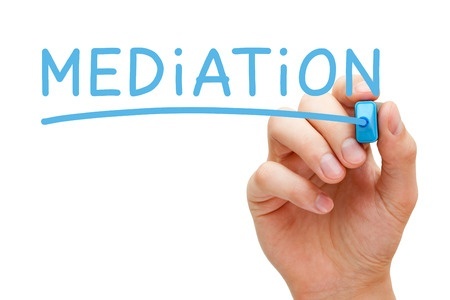 final as to the dispute referred to the mediation. court is bound to pass a decree. pass appropriate orders in this matter without any delay. The original petition is disposed of as above.